Guocai is a small village located in the Baiqing township of Pingtan, Fujian province. Previously known as "Botang village" the village changed its name to "Guocai" as a memorial to the local revolutionary martyr Wu Guocai in 1948. In recent years, Guocai village has utilized its cultural background and favorable location along the seaside to develop local tourism, and has received recognition as both a provincial ecological village and a national beautiful village. 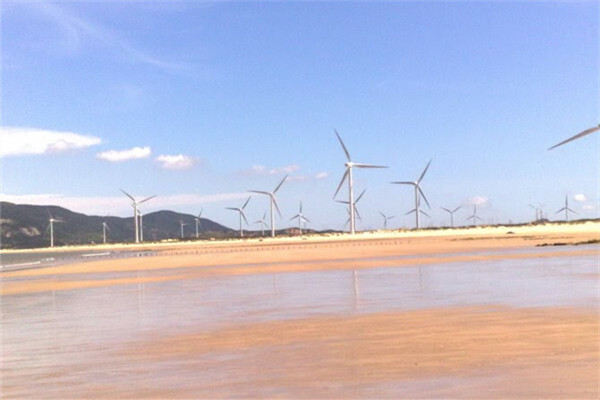 There are three must-sees in Guocai village -- Dasong Island with its thousands of fruit trees and 3,000-square-meter beach, picturesque stone houses and the Changjiang'ao wind power farm. Guocai village is also home to the first cross-Straits youth hostel in the city which was jointly developed by Pingtan and Taiwan.